Every day in America, we teach kids how to “stop, drop and roll” and make sure they know the emergency exit plan in case of a fire. In schools, there are regular drills for what to do in the event of sudden bad weather – earthquake, tornado, etc. During the Cold War, everyone practiced the “duck and cover” move in the event of a nuclear attack. Now, in this day and age, it’s important we also know what to do in the event of an active shooter. According to the FBI, from 2000 to 2017, there were 250 active shooter events in the United States, and 45 percent of those events took place in a business such as a shopping mall or a theater. With three minutes as the average police response time, this means that it is especially important for meeting planners who host conventions in large public places like convention centers, arenas, fairgrounds and more to know what to do. Short of regular, hands-on training, the most important thing to do is change our mental scripting about what we should do if we are in an active shooter situation. Our body’s instinct is to hide from danger – it’s what we were taught in those inclement weather and nuclear attack drills – but in an active shooter situation that makes you a sitting duck. Instead, according to the experts at the Advanced Law Enforcement Rapid Response Training (ALERRT)™ Program at Texas State University, which is used to train law enforcement officers across the nation in how to rapidly respond to dangerous active threat situations, we need to memorize this action sequence: AVOID. DENY. DEFEND. AVOID: Run away from the shooter. Leave the area ASAP. 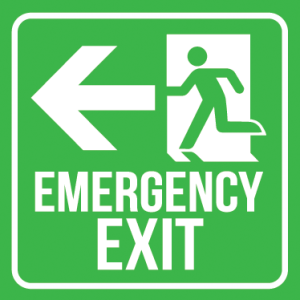 Always check for exits as soon as you enter a new building or room so you can get out as fast as possible if and when it becomes necessary to do so. Then, once you are safely away, call 911. Even if you think, or know, that someone else has already called 911, it&apos;s still important. Everyone picks up on different things so that person may have noticed what the shooter was wearing but maybe you know where the shooter was last seen and someone else knows what type of gun the shooter was using. The more information the police have, the better. DENY: If there’s no safe way to get out, don’t let the shooter gain access to where you are. Lock the door, turn out the lights and get out of sight. This isn’t an endgame, so keep looking for secondary exits like windows. If possible, create a barricade – the larger and heavier the better. DEFEND: If the shooter gains entry, fight. You don’t have to be a hero, that’s a personal choice, but shooters expect targets to cower and many won’t expect a fight. If you can, get behind the shooter and grab the gun. It takes time to reload, so attack the shooter while he/she is focused on that very technical skill and not on your activity. AVOID. DENY. DEFEND. That should be our reaction in any active shooter situation. Memorize it. Share this post with your team so they know what to do. Hands-on training is best and many law enforcement agencies offer the training for free in their communities, so check if yours does and prepare your staff to help direct attendees if necessary. When meeting at the Greater Columbus Convention Center, rest assured that the facility’s staff are ready to assist and provide guidance after having taken the Civilian Response to Active Shooter Events (CRASE) course. Consider taking it one step further with a page from ASAE’s XDP playbook and offer a training session to attendees at your next meeting. ASAE is working with the Department of Homeland Security’s Stop the Bleed program, but our services team can help connect planners with the right training opportunities for those meeting in Columbus.